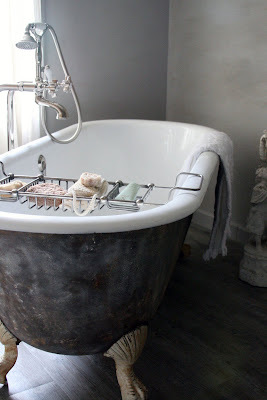 I stopped by A Fanciful Twist on Tuesday and read something that sparked a current obsession: garden baths! 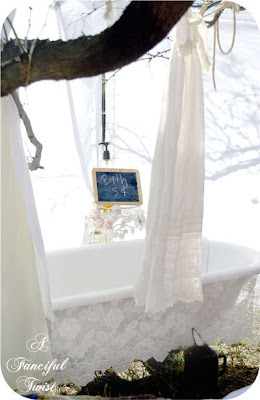 Vanessa put a vintage bathtub in her "gypsy garden" and takes time here and there to bathe outside in her garden. How magical is that?! I'll take #1 and #3! 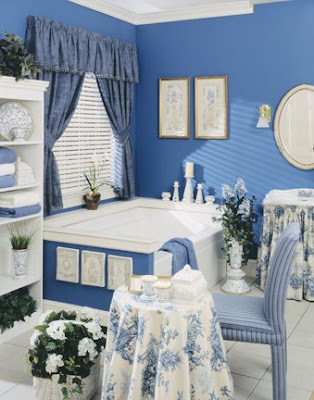 Baths are the greatest indulgence! Ive been obsessing over the garden bath too. I need to find a house with a big (and private) enough yard to put one in. I just love the idea. The third (pink) picture is wonderful. Bathroom number 3 please ;o) I never take the time to relax with a bath anymore. A bath in a garden? Totally magical!! Jen, isn't Vanessa amazing and brilliant and magical. She makes me feel that even I could lug a bathtub outside and fill it with who knows what, maybe frogs that I could kiss and they would turn into princes. I'm afraid those Cialis commercials have nearly ruined outdoor baths for me! 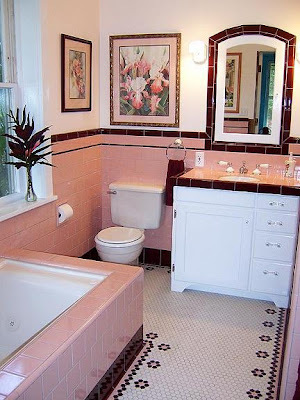 oy vey, i would like a bathroom like this! 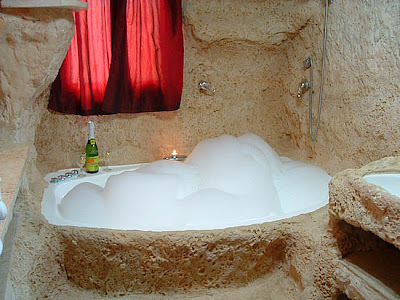 i would love a bath like this. 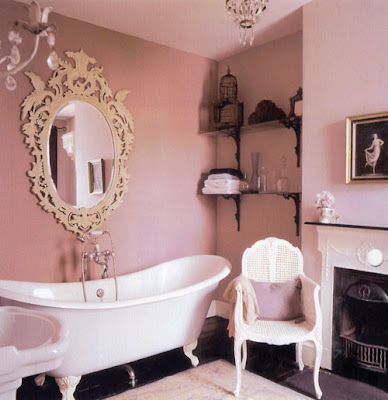 it would be so nice to grab a good book and soak! 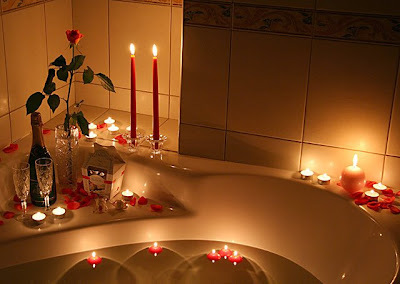 I love baths, and one day hope to have one as magical as these!